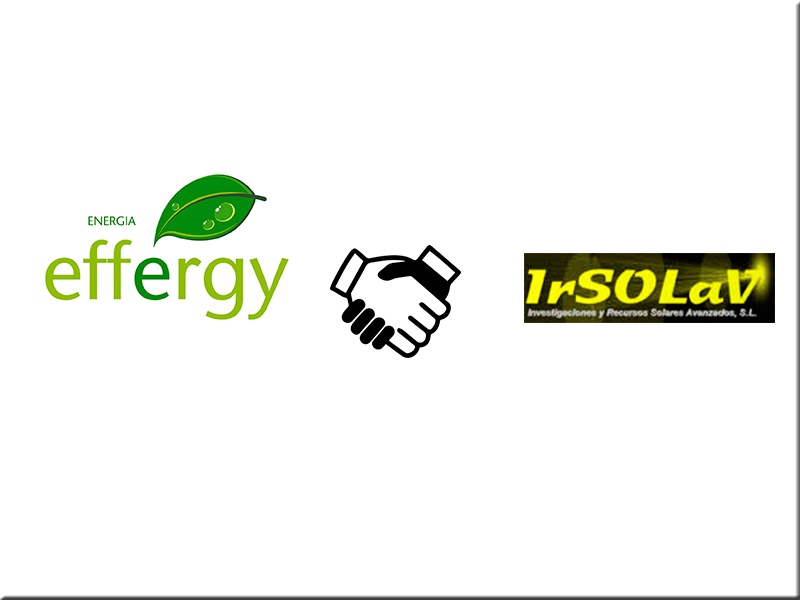 Recently and through the help of the renewable energy project-management company Effergy Energíathe Desarrolla Group has entered the shareholding and governing bodies of IrSOLaV, a spin-off company of the CIEMAL (Center for Energetic, Environmental and Technological Reseach). IrSOLaV and its well experienced international project researchers will act as Effergy’s champions, because of the latter’s focus on making sustainable projects and investments based on solar energy and weather forecasting. “The Effergy Energy and IrSOLaV pairing presents an opportunity for sustainable economic development in several regions worldwide that hold appropriate conditions for renewable energies”, says Jesús Cuadrado Martínez CEO of Effergy Energy’s and Desarrolla Group. Amongst future projects of this pairing is the achieving of operative synergies that strengthen the know-how of Smart Agro consulting firm of the Desarrolla Group.